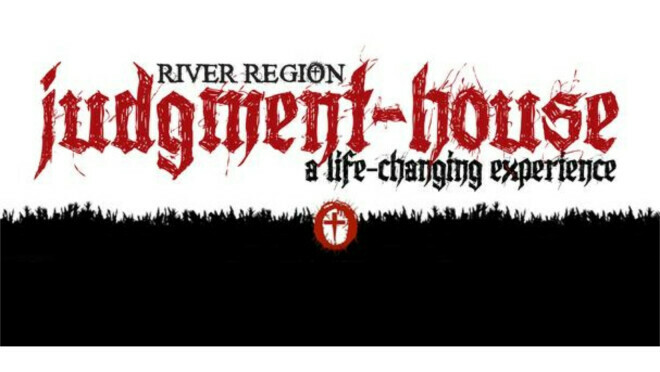 The River Region Judgment House will continue each night through Wednesday, October 31. The presentation will be held from 6:00 until 9:00 nightly. This is a walk-through presentation that is a Christian alternative to a haunted house. It deals with choices, including life and death, as well as the afterlife. It will take place in the Montgomery Towne Center at the corner of the Eastern Boulevard and Troy Highway. For more information, call 334.546.8088. To make reservations, go to www.judgmenthouse.org.